Trying to please everyone isn’t easy but here at Cafe No.11 we aim to offer a choice of fresh and tasty food and drinks for all to enjoy. We love our town and believe in supporting local businesses and using local produce and suppliers where we can. 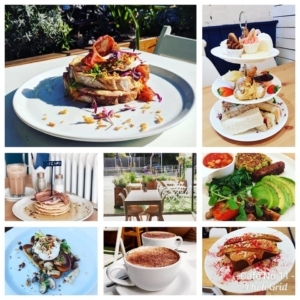 Our all day menu is served 7 days a week until 3pm so whether its breakfast or lunch, coffee and cake or a smoothie to go then pop in and see us. Looking for a venue for that special occasion? We are also available for larger bookings or private hire so why not enquire below about one of our afternoon tea or bottomless brunch packages or talk to one of our friendly members of staff about what you’d like and we’ll do all we can to accommodate you. Served with fresh and freeze dried berries & Greek yoghurt. Banana, Maple Syrup, Crispy Bacon, Mixed Berries, Greek Yoghurt, Chopped Nuts, Vanilla Ice Cream, Nutella, Peanut Butter, Almond Butter, Strawberry Jam or Honey. 2 Sausages, 2 Bacon, 2 Poached eggs, Beans, Mushrooms, Tomato and 2 Slices of Toast. 1 Sausage, 1 Bacon, 1 Poached egg, Beans, Mushrooms, Tomato and 1 Slice of Toast. Veggie Sausage, Avocado, Spinach, Beans, Mushrooms, Tomato and 1 Slice of Toast. Toasted Sourdough Bread Filled with Thick Cut Ham and Smoked Cheddar, Topped with Homemade Tomato Chutney, a Fried Egg and Crispy Parma Ham. We hope to accommodate all ages, if you’d like a smaller portion or to adapt a menu item please talk to us. Why not add a side to any of our salads? Please see the display fridge or ask your server for today’s selection. All our coffees come as standard with a double shot of espresso.